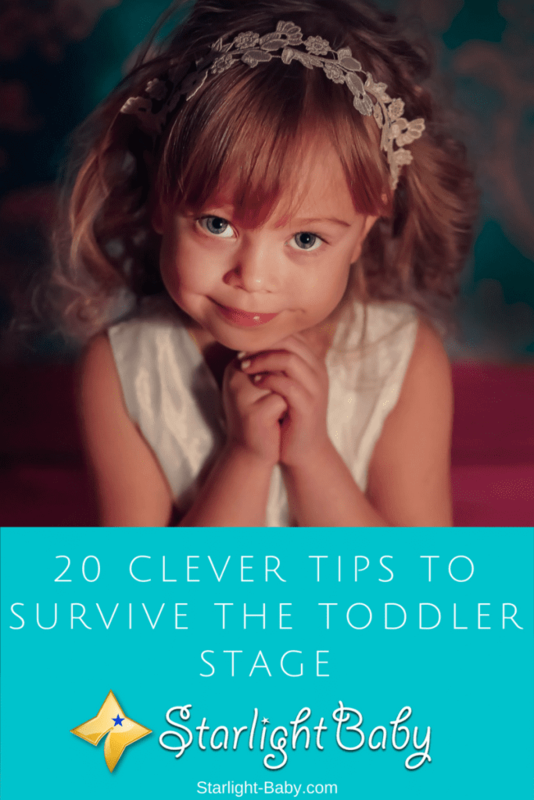 With all the horror stories you hear about the toddler stage, it’s natural to dread your little angel reaching their “terrible twos”. While there’s no denying toddlers are hard work, with a little preparation you can ensure you’re fully equipped to deal with and survive this sanity testing time! You’re going to get a lot of exercise running after a toddler, but it’s not your exercise levels you want to focus on here. Toddlers have a lot of energy, similar in a way, a small way, to dogs. What do you do when you want your dog to sleep? You tire them out! The same rule applies to your toddler. If they don’t have any way to get rid of their excess energy, they’re going to start acting out. So, have a plan of action that’s going to ensure your little one gets plenty of exercise so that they’ll be more than happy to take naps, giving you a chance to recharge your own batteries! This tip is going to be particularly useful when you’re out and about. Going out with a toddler is a stressful event, even if you’re just popping to the local grocery store. Getting out of the house can feel like a military operation in itself, then there’s potential tantrums, having to stop them touching and grabbing everything they see and then dealing with their frustration when you’re stuck in-line. By the time you get home, you’re drained! Tasty, healthy snacks can be used as an excellent distraction technique, especially when you’re stuck in a long line. So, always keep a good selection of snacks on you wherever you go. A what?? Believe it or not, the toilet becomes a popular choice of entertainment for toddlers. For some unexplainable reason that parents are still trying to figure out, toddlers are drawn to the toilet on an unhealthy regular basis! So, what is it about the toilet your little one won’t be able to get enough of? Well, they love using it as a dumping ground and not for the things that are supposed to be dumped in there! You’ll soon start to discover all kinds of weird objects floating in the bowl, including your favorite jewelry! A toilet lid clamp will help avoid many stressful times trying to fish things out of the toilet bowl! You love your child and you want to spend as much time as you possibly can with them. However, you’re going to need a little time out to get things done. Many parents have found out the hard way that playing with their toddlers all the time can literally take the whole day. If you don’t play with them they may cry, scream and throw a full-blown temper tantrum until you give in. That is of course, unless you teach them early on how to play by themselves. Not only does teaching independent play help you to stay sane, but it’s also great for your toddler too. They’ll be happier and independent play also helps to develop the imagination. If you thought it was hard enough to keep the home looking clean and tidy during the baby stage, wait until you have a hurricane toddler! Mess is something you can’t avoid. You can spend hours tidying up when your little one goes to bed, only to have all your hard work undone in just minutes once your toddler wakes up. Many parents, especially stay-at-home moms, feel they need to keep the house clean as part of their job. Not doing so makes them feel like a failure. By accepting the house will be messy, you’ll be a lot happier. You have years to tidy the house when your little one grows up. The toddler years go by quite quickly so it makes more sense to enjoy spending time with your little ones, rather than worrying about how clean your home is. 6. Water – The Sure-Fire Way To Calm A Crabby Toddler! Some days are going to be a lot more challenging than others! If your toddler is having a particularly crabby day, put them in water. It sounds weird, but it works! Now, we’re not talking about literally dunking them in a bucket full of water here, no matter how tempting it might be at the time. 😉 Instead, we’re thinking more along the lines of a little bath. If it’s a nice day, an outdoor paddling pool can work wonders. There’s just something about splashing around in water that calms a toddler and reduces the crabbiness. 7. Get Duplicates Of Everything! Ok, so maybe not everything, but it’s a great idea to get multiple copies of things such as keys and remotes. Even having a spare phone is a good idea. Toddlers love picking things up and moving them to the most random of places. This means a lot of parent’s waste at least half an hour of their time trying to find things when they’re in a rush. The last thing you need is to be worrying about where your keys are when you need to get out to a doctor’s appointment first thing in the morning. So, have a spare of everything important that you’d be lost without. You’re going to want to stock up on what is known as “magic erasers”. These very clever tools magically erase even the toughest stains from walls and surfaces. One thing you’ll discover, usually when you’re already highly-stressed and about to lose your mind, is that toddlers love to use walls as their canvas. They’ll use anything they can get their hands on too – they’re quite the little artists! From paint to permanent markers to make-up – if it comes in different colors they’ll happily use it to create a masterpiece. Magic erasers may be a godsend, but they don’t always completely erase some permeant marker stains. So, your best option is going to either be to throw them all out completely, or hide them well out of reach of your toddler. It may sound like an obvious tip, but when you have a million and one other things to worry about, permanent markers don’t always make it onto the list. All children are different and it’s easy to get caught up on certain development milestones. Your friend’s daughter may be walking long before your toddler, but that doesn’t mean anything. Your child may be better at talking or doing other things. They develop at their own pace and usually it’s absolutely nothing to be worried about. However, it’s still a good idea to chat to your doctor or pediatrician if you are concerned. Overall though, don’t sweat the small stuff – they will do things in their own time. Most importantly, never try to force them to do things that they aren’t ready for. This will only add to your own, as well as their, stress levels. It’s common for parents to think they have to do it all themselves. You may feel reluctant to ask for help because you think you’ll be judged negatively and you don’t want people to think you can’t cope. However, what you need to realize is that all parents need help. Make use of the other people in your household. Even if you’re a stay-at-home parent and your partner is out working all day, it’s important to ensure they do their fair share of child-raising when they return home. Just because you’re at home all day it doesn’t mean you’ve been sitting around doing nothing. Stay at home parents work just as hard, and often harder, than those who go out to work. So, don’t feel guilty asking your partner to take over the feeds or diaper changes for a while you run a bath and relax. Don’t forget your toddler will also be able to star helping you do small things around the house. Asking them to pass you things and getting them to distract the baby if you have more than one child, while you change them can help significantly. Delegating is an excellent way to minimize the stress and takes a lot of pressure off you. If none of your existing friends have toddlers, you’ll want to make friends with those who do. They can provide invaluable support and share tips on how to deal with the many issues that crop up along the way. You can laugh, cry and let out your frustration together and what’s more – it’s going to be a sanity saver having other adults to talk to! As an added bonus your toddler gains some additional friends to play with. If you’d prefer not to speak to someone locally, we have a great community of parents over on the Starlight Baby forums that we’d love you to be a part of! Toddlers are famous for being fussy eaters. There are going to be days you can’t get them to eat anything other than crackers, or whatever their favorite food at the time is. Rather than trying to force them to eat something else, on these occassional days you may just find it easier to give in. It’s not going to harm them, as long as they have a mealtime routine the majority of the time and they don’t always kick up a fuss, the odd day off where they just eat crackers is absolutely fine. One of the hardest parts about raising a toddler is the amount of worry that comes with it. Bizarre things happen and as an adult, it’s natural to worry. Prepare to freak out when your toddler eats cat food, play doh, or a whole range of weird and worrying things. The thing is, they’re more than likely not going to die. Toddlers are extremely tough and they don’t need to be wrapped in cotton wool. Obviously if they find chemical cleaners then you should worry, but for the most part, the things that freak you out more than likely aren’t going to be a problem at all. And if you do get worried, the doctor is only a phone call away. Now, we’ve already talked about investing in a back-up phone in case something happens to yours. However, it’s a good idea to take extra precautions to prevent your phone getting damaged in the first place. Toddlers love phones. In fact, they love everything that adults use. Even in they just want to put it in their mouths – if they can see your phone you can guarantee they’re going to take it. Obviously, the main concern is that they could drop it on the floor. The best way to protect it is to invest in a very hard phone case. Look for one that’s virtually indestructible! At some point, your toddler is going to come across a song or three that they really can’t get enough of. This song will be sung many times, over and over again. They won’t just be content singing it alone either, you will absolutely get roped into joining in! However, get the words wrong and you’ll be in for a mighty telling off. As soon as you notice your little one picking up on a song, memorize it. Look up the lyrics online if you have to! It may sound like a lot of effort, but it’s going to save you a lot of scorn. The above tip links nicely onto this one – get comfortable with repetition. Toddlers, bless their little hearts, LOVE repeating things. Whether it’s a word, a phrase, a song or watching their favorite film. You’re going to need to get used to doing and saying things over and over and over again. It’s going to drive you mad. Quite literally you’re going to start feeling like you’re going insane. The only solace you have during this phase is that it will come to an end. Eventually, they will grow out of the repetition and until then all you can do is embrace it like a crazy person. Ok, so this one is a little over the top, but we’re not kidding. The minute you put something nice on, you’re going to get sticky little fingers all over it. Your clothes are basically just like a great big paper tissue to your little one. So, if you are planning on going somewhere nice in fancy clothing, stay away from your toddler! You’re going to be surprised by the sheer number of surfaces you’ll find yourself wiping down! Bleach is going to come in very useful during the toddler stage. It’s something you’ll never want to run out of. Obviously, you’re also going to need to keep the bleach locked away as if your toddler gets their hands on it you’re going to have serious, potentially life threatening problems to worry about. The final tip which is arguably the most important, is to build up your mental strength. You’re going to need it for the barrage of tests your toddler puts you through. Toddlers are masters at identifying weaknesses in their parents and caregivers. They’ll look for cracks in your resolve and the minute they spot a weakness, they’re going to attack. You need to remain firm and persistent, even when you feel like you’re near a total mental breakdown. Overall, there’s no easy way to prepare for the toddler stage. No matter how much preparation you do, looking after a toddler is always going to be tough. However, the tips above will at least make it a little easier. Got your own tips you couldn’t have survived without? Do us all a favor and share them below! I don’t have any experience with parenting a toddler, however, based on my observation I can say that it is very difficult. You should always accompany your toddler because he is always running and if you leave unattended there might be some accident. Toddler are also good at throwing things. I know a parent, whose iPhone was hammered by a toddler.